At the time of the 1972 amendment, there was only one CPI, the CPI-W, which measures price increases in a specified basket of goods and services for urban and clerical workers. 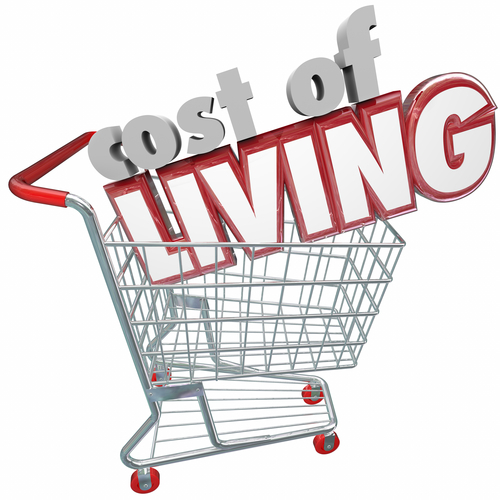 The CPI-W continues to be used today to determine the annual Cost of Living Adjustment (COLA) to Social Security retirement benefits. But is it an appropriate index for determining that COLA? There is an argument that it is not. By definition, the CPI-W is based on the price of goods and services purchased by WORKERS. Most seniors collecting Social Security retirement benefits are no longer working, or are only working part time. Their spending patterns differ from the general working population, especially when it comes to health care. Seniors age 65 and older spend more than twice as much on health care as the general population, and nearly three times as much if they are age 75 or older. In 1987, Congress directed the Bureau of Labor Statistics (BLS), the agency that develops the CPI-W, to determine a CPI reflective of the price of goods and services purchased by the elderly. In response, BLS developed an "Experimental" CPI for Americans age 62 and older (the CPI-E) and calculated estimates of the CPI-E going back to 1982. Those estimates reveal a 2.9% average annual increase in the CPI-E from 1982-2014, as compared to a 2.7% average annual increase in the CPI-W for this same period. On February 28, 2017, Representative John Garamendi (D-Calif.) introduced the CPI-E Act of 2017 (Act), a bill that, if passed, would require use of the CPI-E for determining the Social Security COLA. The bill currently has 50 co-sponsors, indicating a recognition by our legislators that the CPI-W is not an appropriate index for determining the Social Security COLA, and that the CPI-E would be a more suitable index for that purpose. However, to date, nearly all legislators that have endorsed the bill are Democrats. Without more bipartisan support it will go nowhere. Therefore, if you support the CPI-E Act of 2017, ask YOUR federal legislators to co-sponsor the bill.